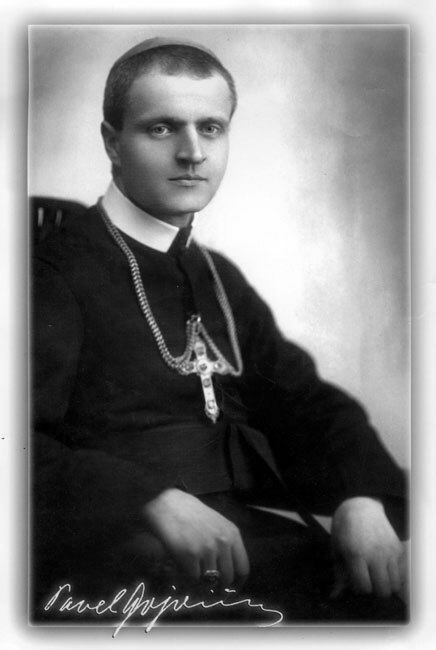 On 25 January 1939, when the Slovak Fascist government, headed by Catholic priest Tiso, established a special committee to draw up a "Program for the Solution of the Jewish Question," Bishop Pavel Gojdic wrote a letter addressed to all the parishes in his Prešov diocese. In the letter, Gojdic predicted disastrous results caused by these discriminative policies. He reminded people of the basic principles of their faith – that every human is equal in the eyes of God. He also warned of the consequences of Nazi ideology and racism. 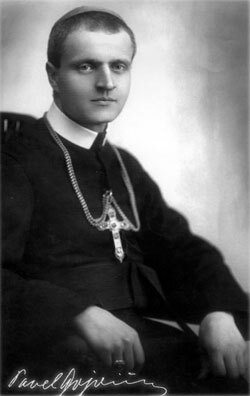 Gojdic's view caused turmoil among Slovak priests, who for the most part sympathized with the nationalist stream in the Catholic Church. In the summer of 1939, they wrote a memorandum expressing their dissatisfaction with Gojdic's actions, causing his resignation that November. The Holy See accepted his resignation from the position of apostolic administrator, but at the same time appointed him Bishop of the Prešov diocese. This appointment only increased the tension between Gojdic and the Slovak government. After the Slovak parliament confirmed a special law permitting the expulsion of Jews from Slovakia, Gojdic wrote a protest against the cruel deportations of Slovak Jewry, asking the Vatican to intervene and put an end to these acts of cruelty. He called on the Holy See to insist on Tiso's resignation, so that the Catholic Church may separate itself from these criminal activities. Despite Vatican interventions, the Slovak State continued with the deportation of the Jews. Gojdic then tried to save Jews by conducting mass conversions. The conversions were in fact fictitious, and the Jews continued to practice their own faith. According to report of the security service of 26 October 1942, Gojdic held such a conversion ceremony in the town of Michalovce, where the Bishop publicly kissed the foreheads of those Jews who decided to "convert." Many veteran members of the Catholic Church left the church in protest against the bishop's gesture. On August 6, 2007, Yad Vashem recognized Bishop Pavel Gojdic as Righteous Among the Nations.